View of Meadow Well, Manson's Lane, Thurso, from west. 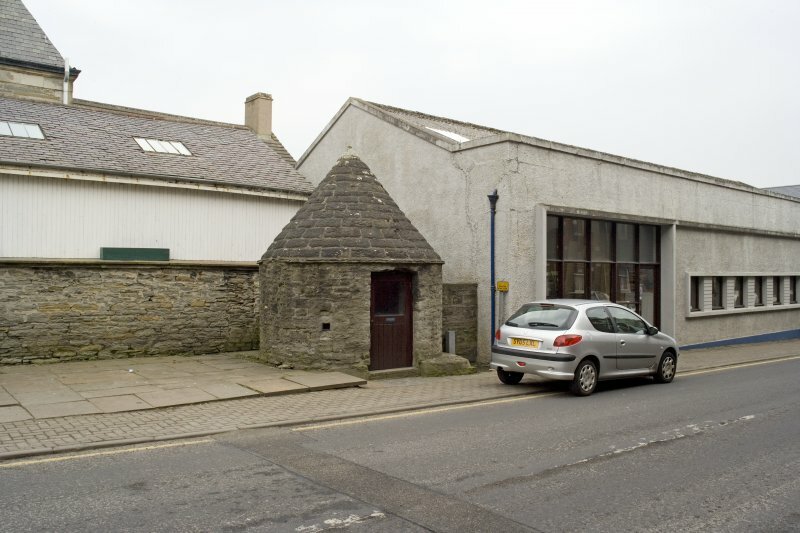 View of Meadow Well, Manson's Lane, Thurso, from east. Meadow Well, Manson's Lane, 1823. 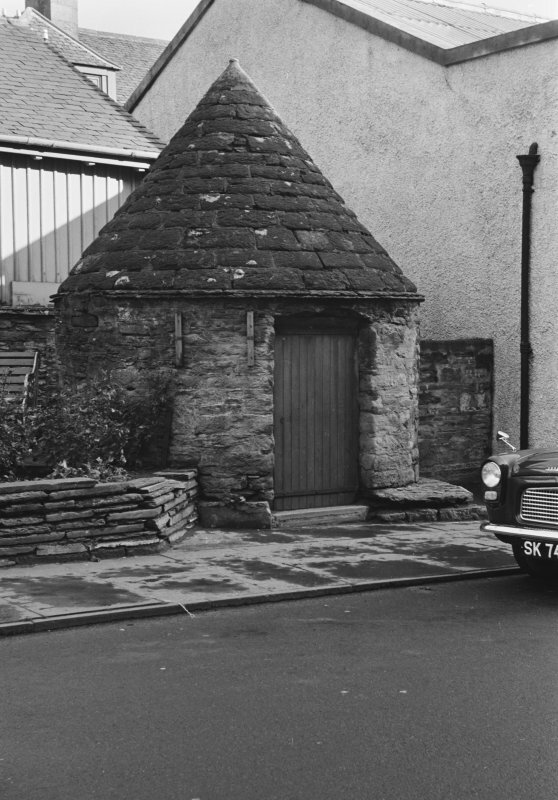 Small circular well house with conical stone roof. Though erected in 1818, it was not finished until five years later, when the debt incurred in its construction was paid off. This building is depicted, but not noted, on the 1967 edition of the OS 1:2500 map. Information from RCAHMS (RJCM), 5 April 2006. Present building completed 1823. Cistern older (1818). 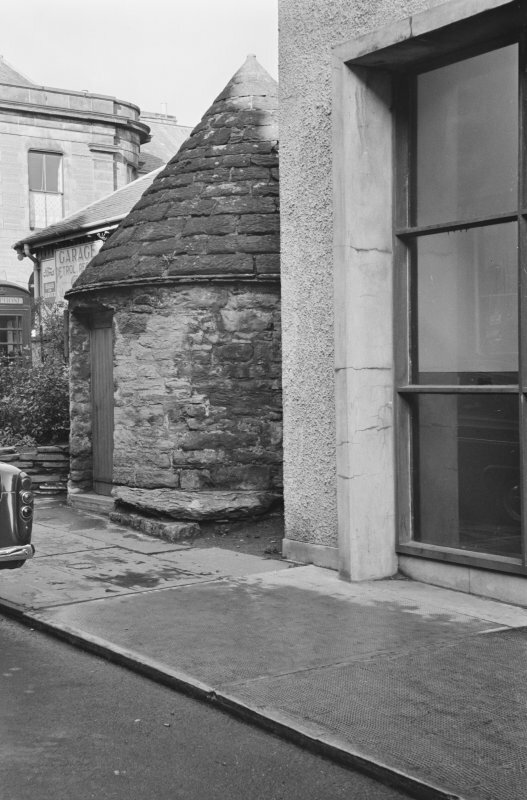 Photographic survey of buildings in Thurso, Caithness by the Scottish National Buildings Record in October 1961. This well is a good example of small town water supply in Scotland and was the main water supply to Thurso for centuries. In 1818 its cistern was enlarged and the present building was completed in 1823 according to the date ona finial. The hand-operated pump, which is visible within, was installed about 1850. 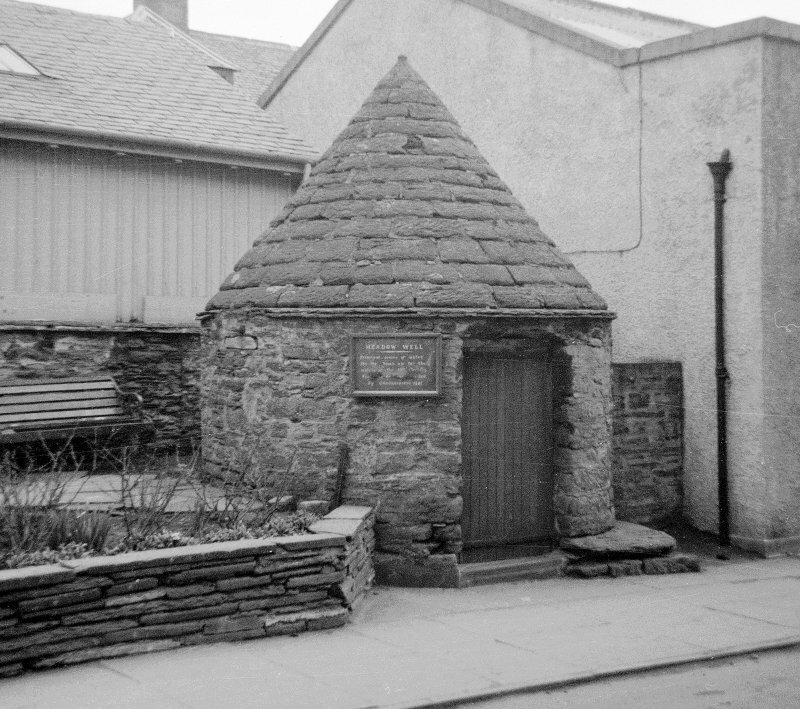 The use of the well for drinking water declined after the town obtained an improved supply of potable water from Loch Calder in ca.1876. It continued in use until the 1920s for filling water carts used to dampen down street dust. 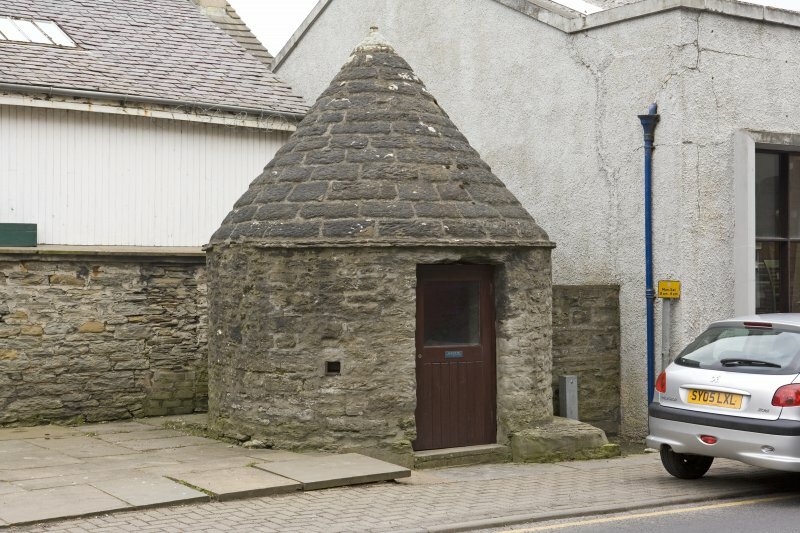 An unusual feature of water supply to dwellings and farms in Caithness was the use of tanks with sides made of local flagstones jointed with lead.